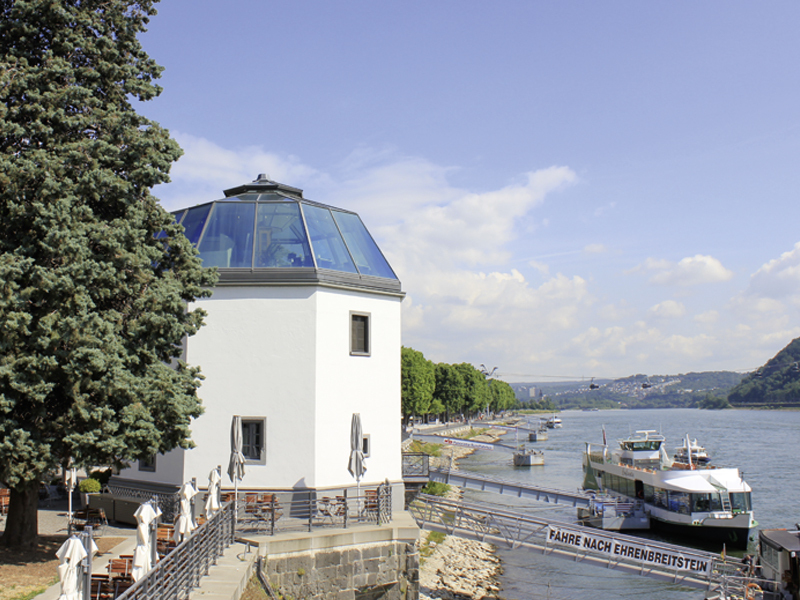 The Pegelhaus, currently run as a restaurant in the Koblenz Rheinanlagen park, was originally built as a Rhine crane. The building dates back to the 17th century. 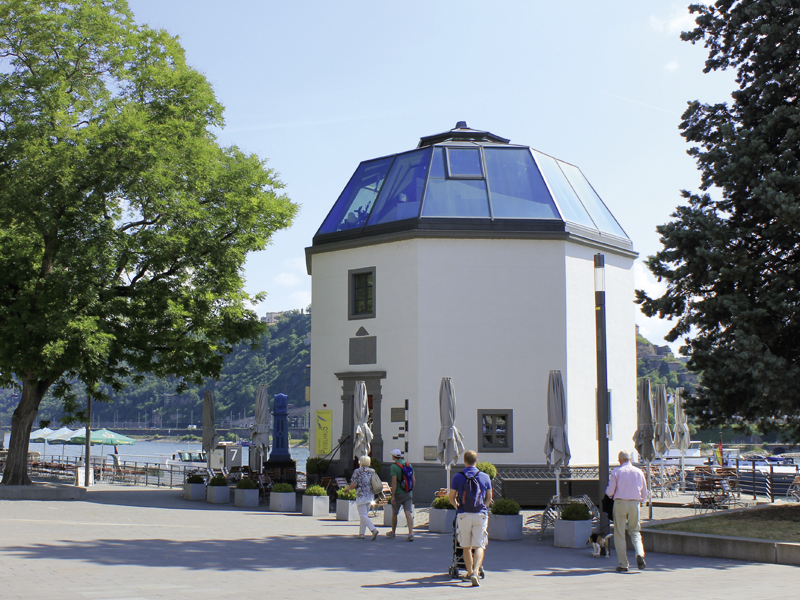 Elector Lothar von Metternich had the octagonal building with prominent base built by Jülich fortress master builder, Johann Pasqualini, from 1609 to 1611. The building was used in this capacity until 1839. After that it was only used as a water station. 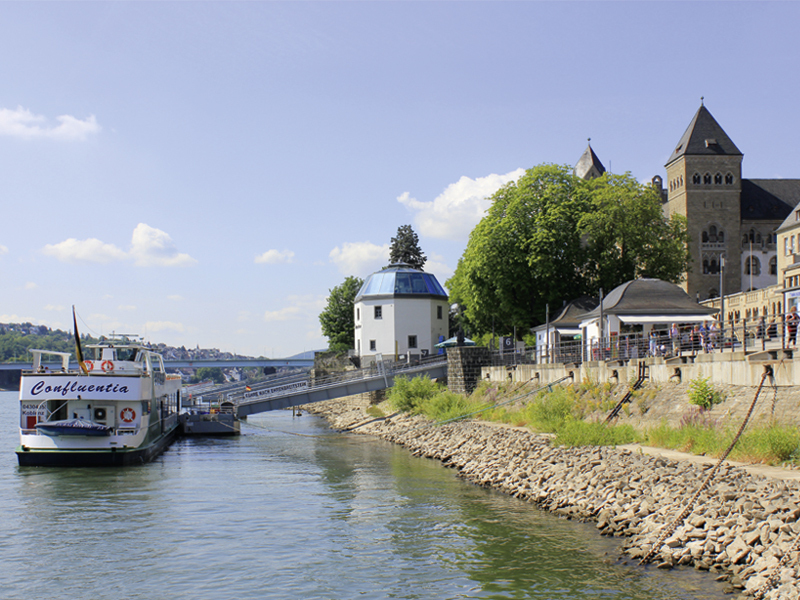 To the right of the entrance of what is now the café, you can see the high water marks over the various centuries. 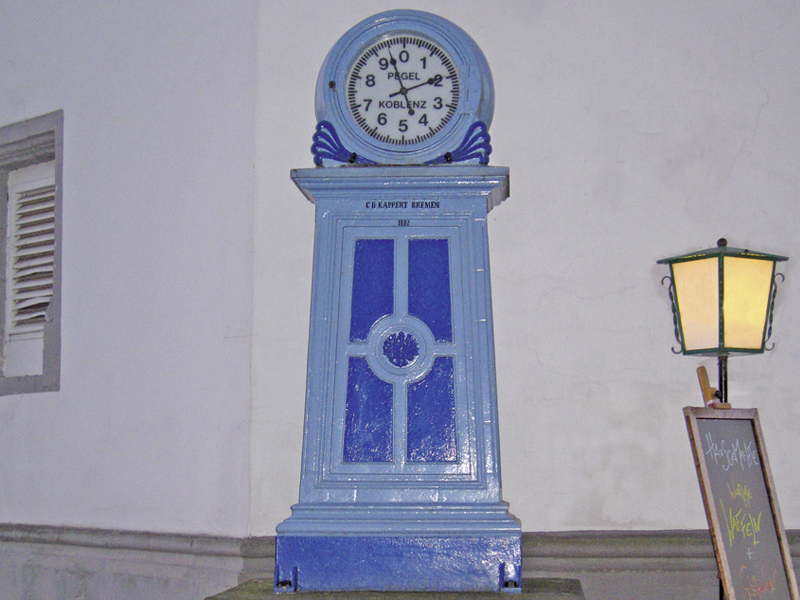 To the left there is a blue clock. 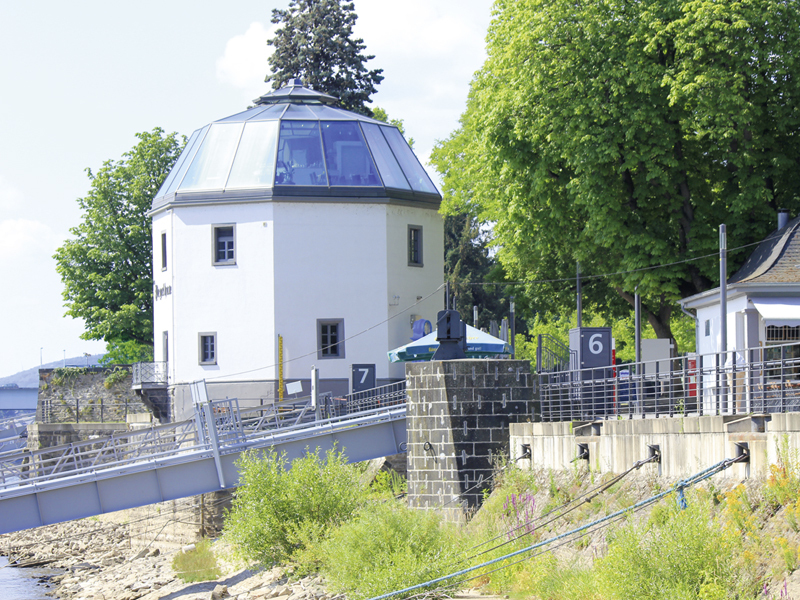 The water level measured at the Pegelhaus is one of 22 measurements taken along the Rhine to monitor levels relevant to Rhine shipping.